The European Union took a number of actions and created new policies to tackle the Eurocrisis. Were they effective in your opinion? Would an EU exit really solve Britain’s immigration problems? FIDESZ, the right-wing ruling party in Hungary, is planning to levy an unprecedented tax for internet data traffic. EU Enlargement: What is Best About It? 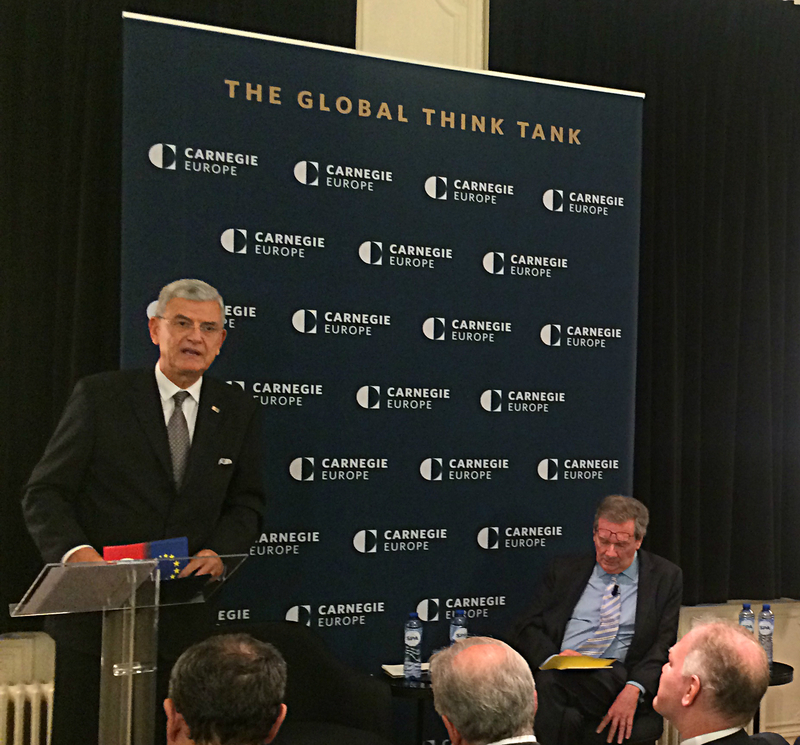 What are the advantages of expanding the European Union? EU member states have donated over half a billion Euro to help fight Ebola. However, much more needs to be done. Portugal, Spain and Malta are the European countries where people receive the most psychiatric treatments. Donald Tusk's election as President of the European Council was a big surprise for many political observers. EU funding is extremely complex, but this infographic explains where it comes from, and what it is used for. Kenneth MacArthur describes his motivation for supporting Scotland's independence. Portuguese citizens had shown high levels of trust in the EU but that changed with the economic crisis and the bailout programme. Whatever the result, the Scottish Independence Referendum will have very significant geopolitical, economic, regional and political effects on Europe. Many tourists visit a European country without knowing where they are! Europe and Russia: how much does the gas cost? What does Europe pay Russia for the gas? The vast majority of chemical elements in the periodic table have been discovered by Europeans! 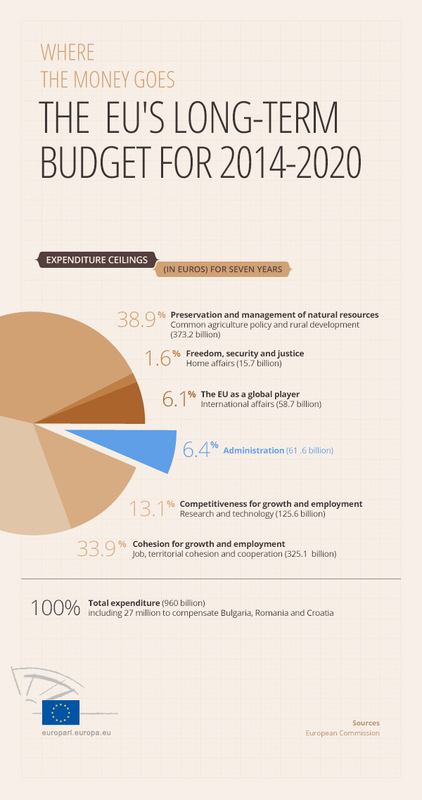 This infographic shows with detail what the money of the EU is spent for. It is the long term budget of European Union. This infographic shows how the European Parliament will look for the next 5 years. European Unification has gradually been making Europe more peaceful and stable, while giving more opportunities to Europeans. 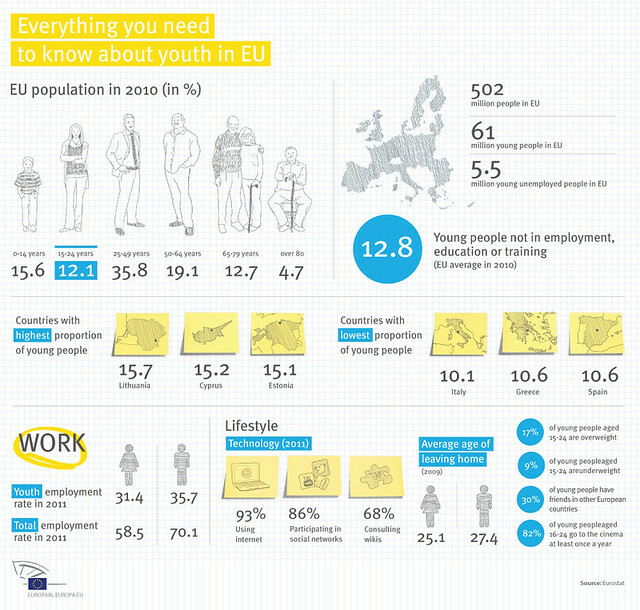 Do you know how to get an EU job? Are you happy with the process of European Integration? "The Greek finance ministers says only "yes" to the decisions of the European Commission without putting the slightest objection, or defending the Greek interests"
As a number of countries celebrate their ten year membership in the EU, much of the future is still under wraps. The very foundation of the European citizenship, namely the right to live and work throughout the Union is threatened. Andrea Windisch Andrea is a Communications Consultant and Writer in London, her background lies in psychology, corporate PR and localisation. In her free time she organises events for the London European Club, her pet interests include European cross­-cultural topics, history and politics.